Strategic Management Blog: From Theory to Practice What are the basics of environmental scanning? No one can predict with any certainty what will occur over the next few years. The transformation taking place in the global and domestic economy is unprecedented and it will take some time for new economic patterns to sort themselves out. Regardless, history tells us that there will be winners and losers in every industry. Some industry participants will learn to “read the tea leaves” and adapt, while others will fail to adapt and go the way of the buggy whip. Tea leaf readers are, by definition, proactive and drive their decision making process by way of clear strategic thinking, planning, and action. Losers on the other hand, bunker up, hunker down and hope. The best antidote for any threatening strategic situation is always accurate information, i.e., information that will help the leadership team to predict which way the environment is moving. 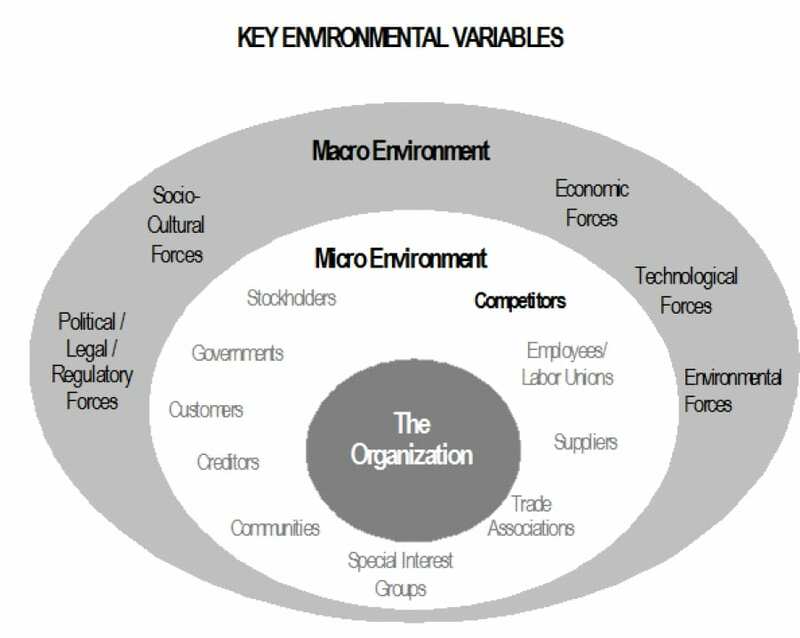 There are many external forces, dynamics and constraints that must be taken into account in arriving at the most desirable and effective strategy, but it begins with a comprehensive understanding of these forces and constraints—and how they interact to enable a particular strategic direction to emerge within a specific organizational context. This information is available is most every situation. It simply needs to be gathered, consolidated, and understood. Below is a framework for making this analysis. There is no standard format for making these analyses, since organizations vary in the type and level of information that is significant to their needs. However, a number of recurrent dimensions at both levels have been found useful in most organizations.